In our previous article, we identified the main furniture quality control risks when manufacturing in Asia during the peak season. We discussed common defects, reasons for production delays, and bribery issues. This complementary article aims to provide solutions to adapt your furniture quality control procedure to protect your supply chain and guarantee consumer satisfaction. 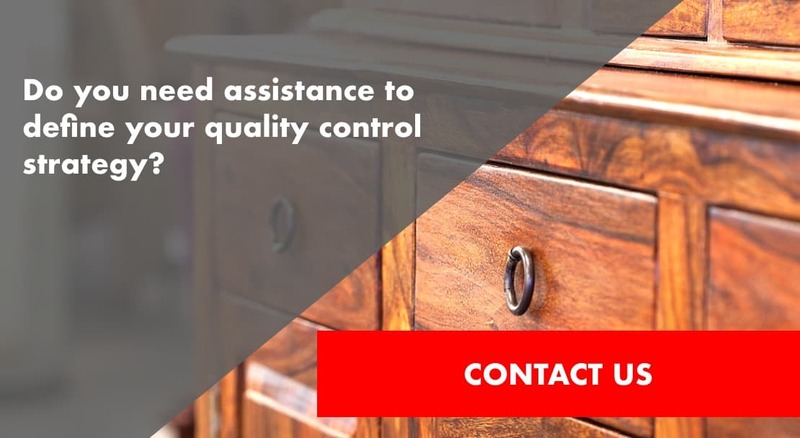 How to adapt your furniture quality control procedure during the peak season? Preparing clear specifications is something we regularly mention on the AQF Quality Control Blog, and that’s because it’s essential. You cannot disappoint your customers with products that do not meet their expectations, and you need to ensure that every aspect conforms to their requirements. If you want to succeed, you need to work on your specifications and improve them over time. Better specs help your supplier do a better job. They also assist your third-party QC partner in preparing the most appropriate inspection protocol so that every important aspect of your products is checked. Paint can be tested very easily. You could stipulate a more rigorous testing protocol requiring higher number of test samples on your checklist, but you could just as easy secure your results by ensuring that the S-1 sampling for the adhesive test (or cross-cut test depending on the product) is randomly picked, in different places of the storage area in the warehouse. This procedure will decrease the risk of finding problems on arrival at the product’s destination. You can emphasize this request to your third-party inspection company to ensure they will pay attention to the way they select the samples for testing. You could also request an additional test which is commonly used for textiles, called the ‘rub test’. 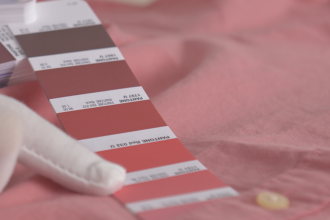 This test may help to check if the color of the paintwork comes off by rubbing a white cloth – first dry, then wet – on the furniture. It may require some extra time for testing, but it’s worth it if your risks are reduced. It is essential to provide enough time for your QC inspector to assemble several pieces of your product entirely. All parts may be present, but if you can’t assemble all of them correctly, or the furniture does not seem to be able to perform its function, then you will be in trouble. You could increase your sampling to S-2 Special Inspection Level for a stricter control, but you need to make sure the basics are followed. Cartons for sampling should be randomly selected from different areas of the storage warehouse. If there is limited time or the QC inspector doesn’t have the practical know-how, some furniture may be assembled in front of the QC by a factory worker, instead of by the QC directly. If you don’t want this situation to occur, you should stipulate in the inspection protocol with your QC partner that the QC should be the one assembling the furniture, as would any customer receiving your product. Finally, you should make sure to include a function test along with the assembly test. This instruction requires the QC has to simulate the function of the product. For instance, if it is a chair, the QC should sit on it as you would at home.Increasing the sampling for the above tests implies more time for the quality controller at the factory. Your inspection service may cost more, but rather than just thinking of the added expense, consider it as an investment that ensures you won’t miss any sales! 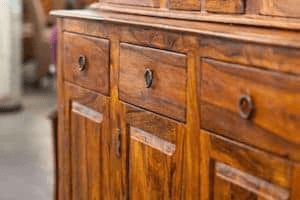 To succeed in this risky period, you may need to invest more in furniture quality control, and try to identify any problems as early as possible. Most of the defects aren’t detectable until the very end of the production process, so you must check your goods before shipment.However, a potential delay or paint defects can be identified earlier by monitoring the production process for one or two days or, performing a during production inspection on semi-finished goods. Few people can claim not to have experienced any bribery issues in the quality and sourcing industry in Asia. But depending on the way you manage your human resources you can decrease the chances of this occurring. Effective team management, regular monitoring, training, and bonuses based on performance are essential. However, during the peak season, there are many suppliers interested in corrupting QC inspectors. The temptation is high, so you have to make sure your QC partner has set up the right processes to limit the risks as much as possible. The payment method you stipulate is one of the most common ways to put pressure on your supplier to do a good job. Manufacturers are mostly driven by money, even more so during peak season as they have to pay extra salary to their employees for Chinese New Year. You should, therefore, take advantage of the most secure payment methods to protect your supply chain and guarantee your end-user’s satisfaction. A ‘letter of credit’ is the most appropriate, but you could also consider making a payment after a PASS result on a pre-shipment inspection report. You will need to use your best negotiation skills to reach this agreement as most suppliers prefer you pay a deposit. You may often be tempted only to test your product at the pre-shipment inspection stage because you consider the product testing process is just a formality. However, it may not be the case, and you don’t want to face any fines from Customs because the goods don’t conform to your destination country’s standards and regulations. Try to test your products at an early stage and include the positive lab test results within your payment conditions. This requirement will oblige your supplier to pay attention to your order. furniture quality control procedure and adapt it to the situation. Your QC partner should be able to offer you a tailored solution based on your goods specifications, quality requirements, time-to-market objectives, and experience with your supplier. Feel free to share your needs with us should you need any advice! Glad you like it! Feel free to share your sourcing expertise considering your product range is wide.